Really not a lot to say here, but I feel like I just realized why the 5th Edition playtest of D&D lost me at about the second or third update. While I was reading the 1st Edition Wilderness Survivial Guide that has rules for a wide range of situations that may come up in a game, I had the realization that the rules in the 5th Edition playtest don’t seem to exist to be a mechanic to resolve situations, but to make the rolling of dice more varied and interesting. The approach does not seem to be “what would be a good way to get a result for this thing?”, but rather “what new reasons can we find to roll dice and make it fun?”. The 5th Edition playtest is far from alone in this, and it’s also been the reason I never wanted to get into 4th Edition once I saw the Player’s Handbook. And while I played 3rd Edition and Pathfinder for over a decade, I now see the same issue with them. It may not neccessarily have been the case at the inception of the d20 game. The original Player’s Handbook still seemed to be mostly concerned about providing mechanics to resolve situations that arise during play but do not have a certain outcome. But once the whole Splatbook wave got into motion, it started to be more rules for the sake of more rules. It’s not neccessarily a bad thing. And I even think that in very early D&D, the game had already been about having fun rolling dice, as the books are all about clearing dungeons that simply exist to be challenging to adventurers. 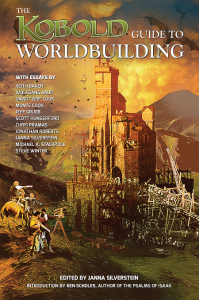 Roleplaying in the strictest sense of the world only seems to have really been given any attention once the Campaign Settings came around, which ended up the focus of the 2nd Edition. To some degree, I can see the appeal of tactical wargames, where the challenge lies in mastering the rules and exploiting them to your advantage. 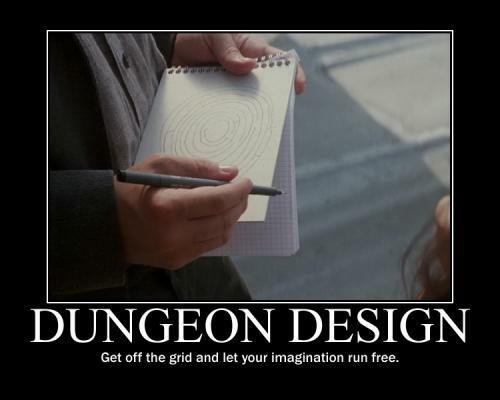 But personally, that’s not what I am looking for in an RPG, and neither what I enjoy to run for my players. I am starting a new campaign set in the Ancient Lands tomorrow, and as so often I find myself a bit doubting about the setting really being something different and not just another case of generic european middle ages fantasy. So kind of as a last moment effort, I sat down once more, going over notes to remind myself of some special features I’d fallen in love with over the last years. Giant Fungus Trees: These are the one big thing that really makes Morrowind look very different from any other well known fantasy setting, even those of the other Elder Scrolls games set in the same world. Of course, it’s not an original idea now, but I think by including them, it’s adding a certain look to the setting that is still rare. Magic Ponds and Wells: I like the idea of water being a substance with inherently supernatural traits. As the Japanese say, water is the only substance that can clean itself. It evaporates at the ground and when it returns as rain, its perfectly clean and unsoiled by anything, which is the reason it’s so important in cleansing rituals. In Warcraft III, the night elves can build Moonwells that replenish the health and mana of nearby units, and there are also natural magical fountains found throughout the world. The spring in Treebeards house in the Lord of the Rings would be another example. Given that the spiritworld plays a prominent role in the Ancient Lands, magic springs seem right in place as locations of strong magical power, which I prefer a lot over ley lines and the like. Large Insects: Giant Spiders are one of the most generic fantasy creatures and giant beetles, centipedes, and scorpions are also quite common. Much more rare is the use of domesticated insects. Dark Sun has them, as the world isn’t very hospitable for most mammals, and again, Morrowind has giant long-legged beetles as transports in swamps and other difficult terrain. Not quite sure how to implement such things in the Ancient Lands, but it’s something I want to come back to and give some more thought. Giant Lizards: Dinosaurs in fantasy are always a difficult subject. They don’t feel a lot out of place in cavemen worlds, but usually people tend to feel that they just don’t belong into a world of knights and wizards. However, the Ancient Lands is not such a world, but one of barbarians and witches. Outright using dinosaurs still doesn’t feel right to me, but there’s a middle ground here. Instead, I am going with large reptiles that are very similar to dinosaurs in all respects, but not actually based on real species. Crocodiles and comodo dragons are still existing species, and many extinct dinosaurs had an anatomy not much unlike rhinos or cattle. I created two new creatures some months ago, which really were just a bison and a camel with a different appearance. A feathered deinonychus might look a bit strange to people who grew up with dinosaur books from the 90s, but I think it makes a cool fantasy creature. I think they make good replacements for bulls and horses in the southern jungle regions of the Ancient Lands. Limestone Karsts and Sinkholes: While not exactly rare in Europe and North America, large areas of limestone erroded by water has formed amazing landscapes in many parts of Southeast Asia, that actually look quite unreal and fantastic if you’re not commonly used to it. Particularly in coastal areas you get this massive monoliths rising out of the water at vertical angles, sometimes riddled with caves and forests growing on top. A bit inland, you get huge mazes sretching out of sight into all directions. It’s a natural and not that uncommon landscape feature, but one much more exotic than meadows and marshes. These are not things that are going to feature in any significant way in the first adventure of the new campaign, but by mentioning these things every so often while describing what the PCs are seeing, I am hoping to get the players to see the world as more than just Europe with orcs and dragons. Earlier this week I mentioned between classes that I’d really like to play an RPG again. And as luck has it, my friends all got quite excited about the idea. Only two of them have actually played any games before, but all the others are also quite enthusiastic and so I know have 6 players already and a good chance that this game will keep going for two or three years. The kind of opportunity every small-time GM would wish for. I’ve decited to ditch Pathfinder and instead go with Castles & Crusades, which is much easier to learn, faster to play, and allows much more freedom because preparing for multiple possible outcomes requires much less time and work, and I can even make up things on the fly. However, having always run rather linear games in which there was a clearly structured sequence of setpieces, I don’t really have any experience with planning a much more open-ended campaign. While I like the possibilities of sandbox games, I don’t want to make it a hexcrawl, but instead provide an interesting starting situation in which the players are free to take sides and steer events towards and outcome that is in their favor. There probably is a huge amount of information out there on the subject and reports of campaigns that people actually ran, but finding those is the difficult part. If anyone has any pointers towards articles, campaign reports, and similar sources, it would be hugely appreciated if you could share the links in the comments. Ask anywhere which older RPG books (pre-2000) are among the best and you are pretty sure to get at least some people praising the AD&D 1st Edition Dungeon Master’s Guide. I flipped through it a few times but never saw anything that looked even remotely interesting. Now I’ve been running D&D games for well over a decade and already know quite a bit about the basics and actual experience, but I think most people who recommend the book have been doing so for much longer than that. Could be pure nostalgia speaking, or there are actually some interesting sentences to find under the generic sounding section lables. So I am going to bite the bullet and start reading a 200+ pages long book that doesn’t look appealing to me to any degree. But while large group of people can still be entirely wrong, they usually are not. Let’s see what I’ll find in these pages. What are the Ancient Lands? One of the reasons to start Spriggan’s Den was to have a place to post updates on my work on the Ancient Lands, and I also plan to use it as a label to publish my RPG related material in the forseeable future. So I guess a short introduction would be in place. Ancient Lands is a campaign setting that goes back to 2005 when I was working on the setting for a larger online project that never really got off the ground, but from which I learned a lot of things about the creation of campaign settings and my personal preferences. Work on the Ancient Lands began in earnest in early 2011 when I was dabbling in creating a revised version of the generic character classes variant rules of D&D 3rd Ed. for E6 and I really started to like the idea of a low-level setting as in the worlds of Conan or The Witcher. While I eventually abandoned the plan of using the E6 variant in favor of simply establishing a sort-of level-cap at 10th level (on which I might elaborate on in a separate post), and switched to Pathfinder over D&D, the basic premise remained the same and has seen significant development over the last two years. One of the primary reasons to consider creating a setting myself was my dissatisfaction with the fact that most “high fantasy” or “generic” fantasy setting portray a world in which dragons, giants, elves, and dwarves do exist, but they are all way past their prime and fading into obscurity in the face of a rapidly spreading humanity. Now, in the Lord of the Rings this is an important plot element; the whole story is about the end of an era and the transition from myth to history. But there really is no reason to make this the standard for all fantasy settings. Also, settings like Forgotten Realms, Dragonlance, or Eberron portray worlds that are actually emulating the Renaissance and early modernity, while I personally much favor the early Middle Ages and Iron Age. When reading sourcebooks on other campaign settings, there is almost always lots of references to the old kingdoms of elves and dwarves and their wars against dragons, giants, and massive hordes of orcs. These sections always intrigued me much more than the current age of these settings and so the basic idea of the Ancient Lands was born: A wild and barely explored world of the Bronze or early Iron Age, where humans are simply one of several races of “barbarians” and ancient nature spirits still possess great power of the lands and their creatures. Author YoraPosted on 27/11/2013 17/04/2018 Categories game design, rpgs, sword & sorceryTags Ancient Lands1 Comment on What are the Ancient Lands?